The idea that a person is successful entirely on their own is usually at least partially a myth. In a creative endeavor like filmmaking, it’s typically a flat-out lie. A movie star like Tom Cruise is successful in part because they find great creative partners. For a decade, Cruise’s most consistent team member has been writer/director/producer Christopher McQuarrie. The latest fruit of their relationship is Mission: Impossible – Fallout, opening July 27. Here’s how Cruise and McQuarrie forged one of the greatest filmmaking teams of the modern era. While he’s known as a director now, McQuarrie started out as a writer, thanks in part to a long friendship with filmmaker Bryan Singer. The two met when they were children through family-friends and knew one another in high school and beyond. They made small war films together long before either became famous. McQuarrie actually worked as a private detective and was about to become a cop in New York City when Singer reached out around 1990, asking if his old friend could write a script based on a pitch the director had pulled out of thin air during a meeting. McQuarrie wrote that film, which became Sundance success Public Access. It led to one of the major crime films of the ‘90s, The Usual Suspects, released in 1995. In 2002, McQuarrie found the story of an attempted plot by German officers to assassinate Hitler. Four years later, his script, co-written by Nathan Alexander, had old friend Singer on board to direct. They took it to producing partners Tom Cruise and Paula Wagner, who agreed to make the film as Valkyrie — and Cruise soon took the starring role. That’s where everything fell into place. Cruise and Wagner’s long creative partnership is its own story. She worked as a talent agent for many years, with Cruise as a client. After they formed Cruise/Wagner Productions in 1993, they made their debut with Mission: Impossible, released in 1996. Cruise and McQuarrie, or “McQ” as the star calls him, really clicked. Wagner wasn’t able to be on set all of the time, and she recruited McQuarrie as producer to serve in her stead. So he worked far more closely with the star than a screenwriter usually would. The “One Shot” script became the film Jack Reacher, and it did a few things. First, it further solidified the McQuarrie/Cruise partnership. Second, it got McQuarrie the job as director. And third, it led Cruise to bring McQuarrie to the set of Mission: Impossible – Ghost Protocol for extensive rewrites. So, in 2012, Jack Reacher featured McQuarrie as director, the first time he had that credit on a feature in 12 years. His strong, confident style and easy working relationship with Cruise cemented his future as a director. 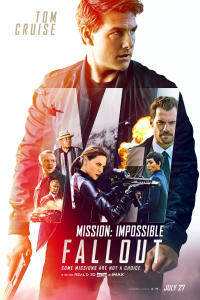 At the same time, the screenwriter’s work on Ghost Protocol helped create a turning point for the Mission: Impossible series. In that same era, McQuarrie wrote the excellent sleeper sci-fi adaptation Edge of Tomorrow, which also starred Cruise. 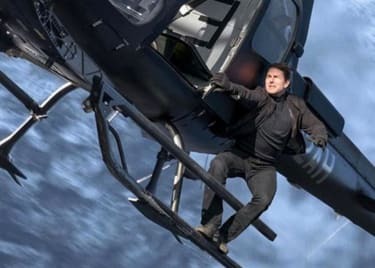 Before that film was even released in 2014, McQuarrie and Cruise were already planning to follow Jack Reacher with the fifth Mission: Impossible movie, Rogue Nation. 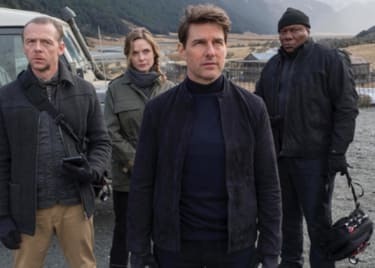 That pattern changed after Rogue Nation, however, because apparently the working relationship between Cruise and McQuarrie was too good to break. 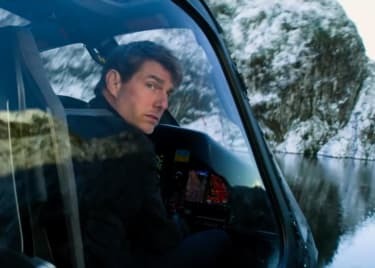 In addition to getting McQ to do script work on The Mummy, Cruise quickly started to develop Mission: Impossible – Fallout with his now-consistent creative partner. From early critical reactions to the film, it sounds like 10 years of Cruise and McQuarrie working together on a half-dozen films has paid off incredibly well. We don’t know if the pair will carry on for yet another impossible Mission, but the idea that they’ll do another film of some kind together is one of the safest bets in Hollywood. Mission: Impossible – Fallout opens July 27. Get your tickets at AMC today.